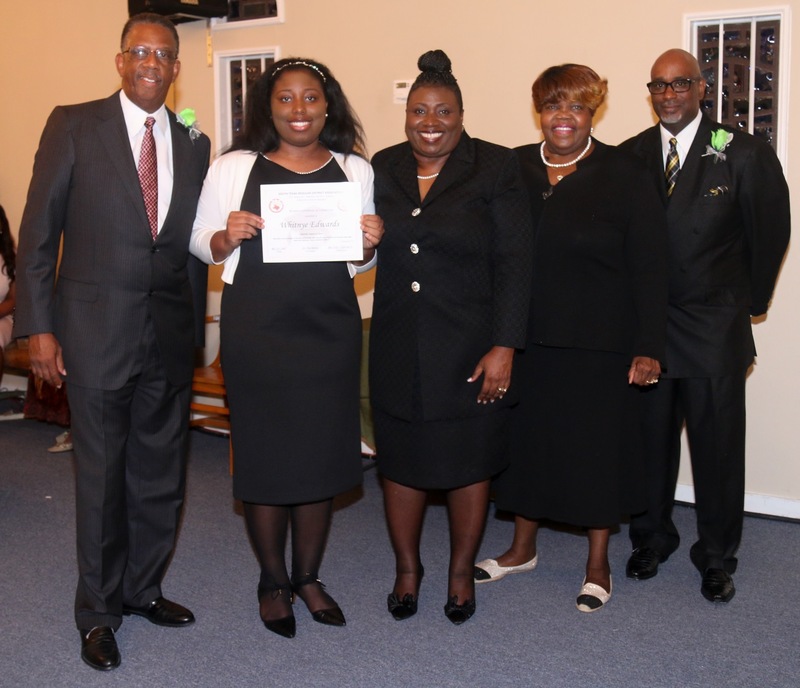 Mykayla Willis is a member of Pentecostal Missionary Baptist Church in Houston where Rev. 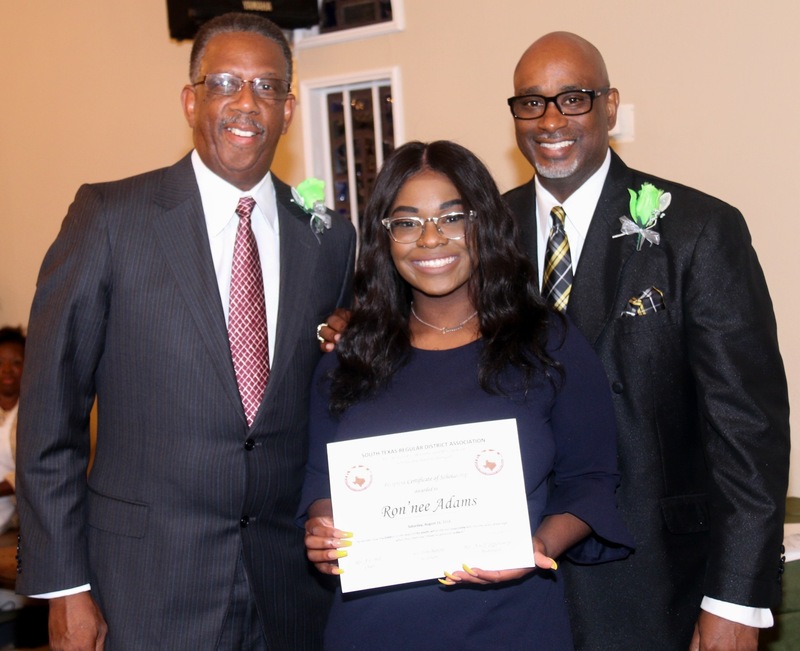 Acie J. Jefferson, Jr. is her pastor and she regularly attends Sunday School, is a Children’s Church Helper and a member of the Youth Choir and Praise Dance Ministry. Mykayla graduated from Houston Academy for International Studies where she ranked 11 out of 112 students and earned a 3.9 GPA. 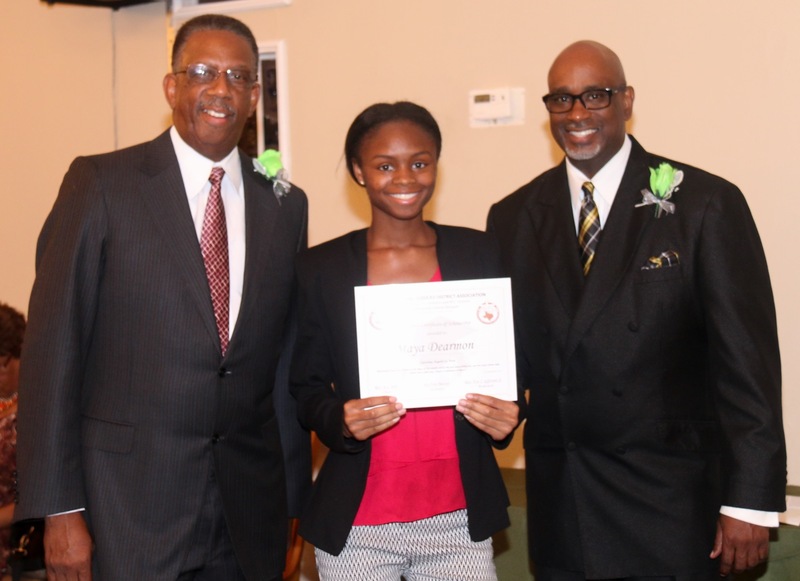 She plans to attend Xavier University of Louisiana where she will major in Biology and minor in Spanish. Ron’nee Adams is a member of New Jerusalem Missionary Baptist Church in Houston where Rev. 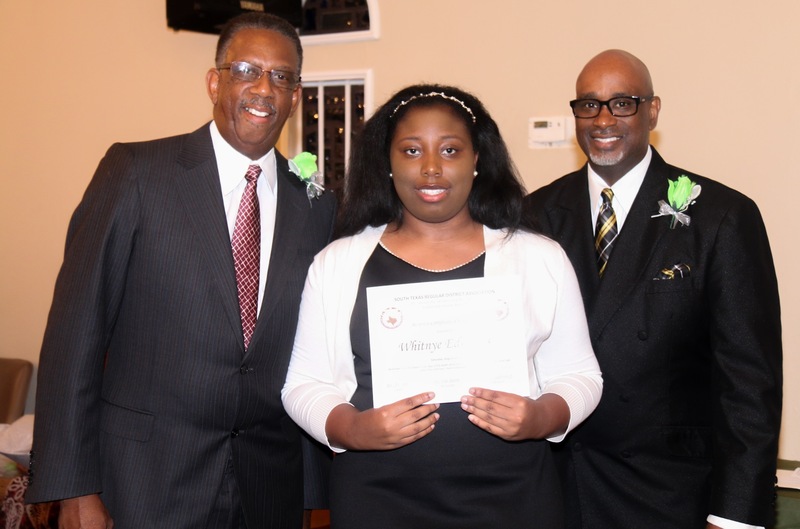 Willie Adams, Jr. is her pastor and she is a youth usher, choir member and secretary. 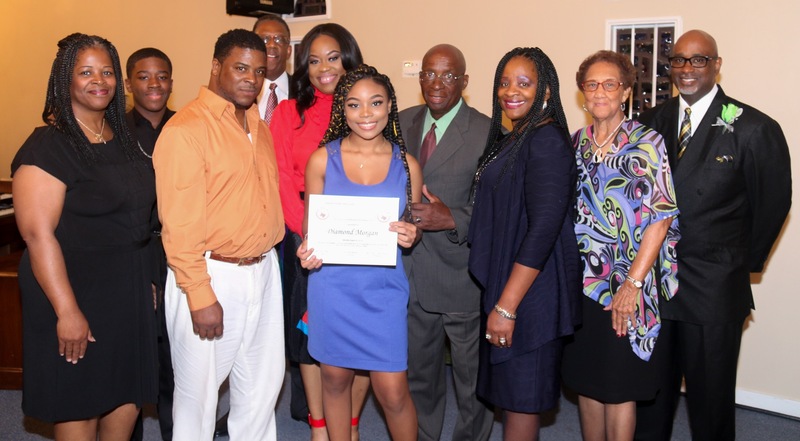 Ron’nee graduated from Lamar High School where she ranked 363 out of 828 students and earned a 3.46 GPA. She plans to attend Texas Southern University where she will major in Psychology and minor in Business Management. 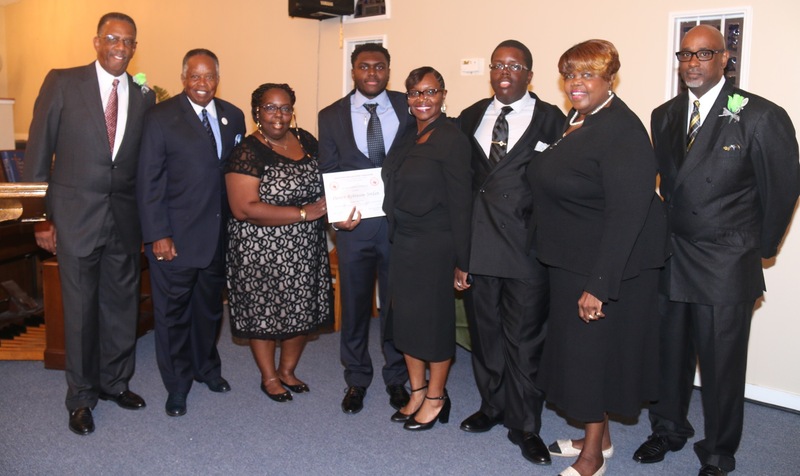 Kameron Brown is a member of Hopewell Temple Missionary Baptist Church in Houston where Rev. 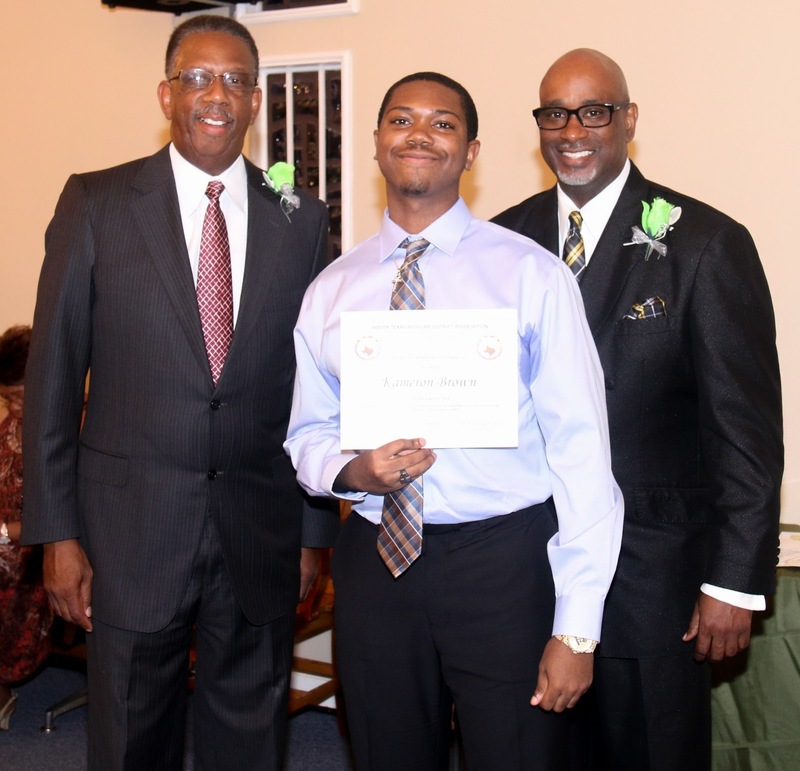 Asa W. Sampson, Jr. is his pastor and he is an Usher and regularly attends Sunday School. 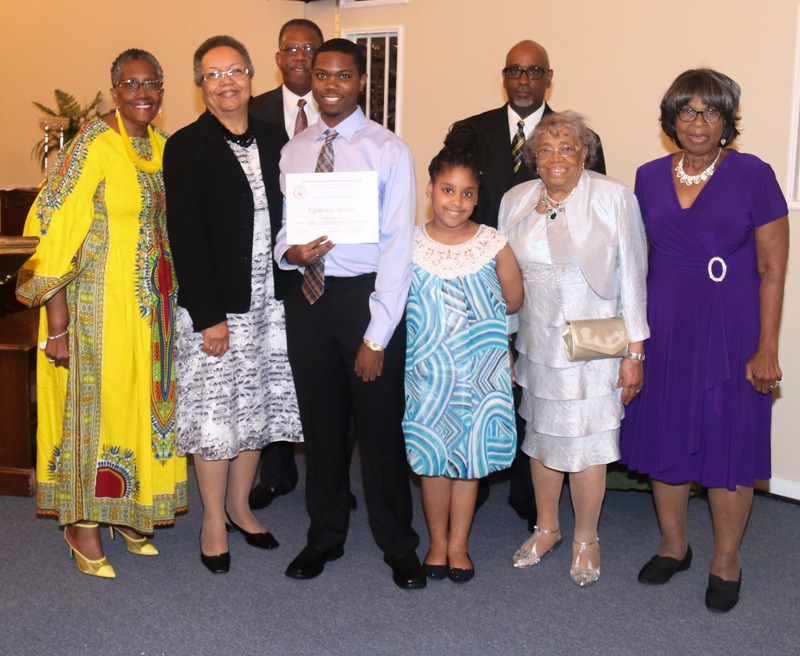 Kameron graduated from Glenda Dawson High School where he ranked 473 out of 578 students and earned a 2.5 GPA. He plans to attend Alvin Community College to complete his basics before transferring to a university. 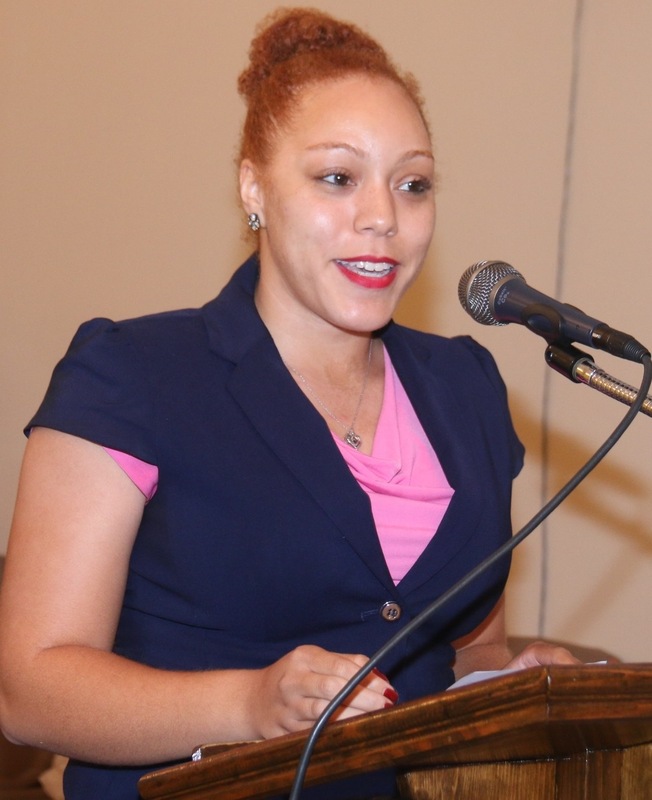 Alexandria Cameron is a member of Bethlehem Missionary Baptist Church in Houston where Rev. 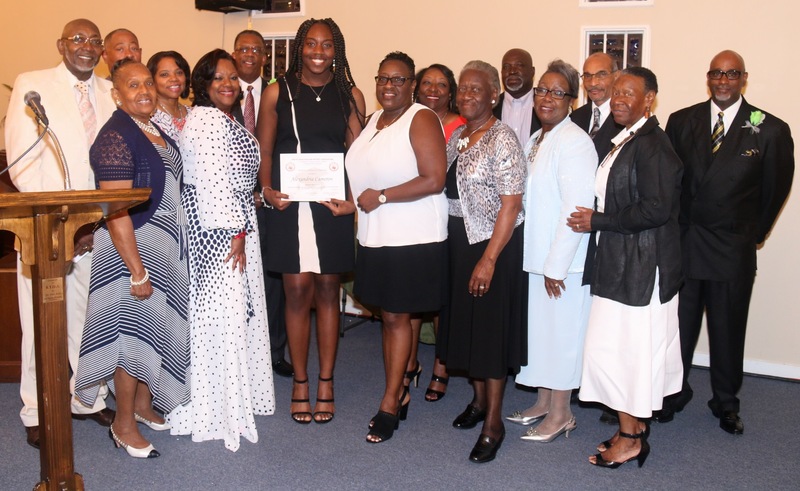 Mose A. Jones is her pastor and she is a member of the Youth Choir, Praise Dance Ministry, Foreign Ministry and regularly visits the sick and shut-in. 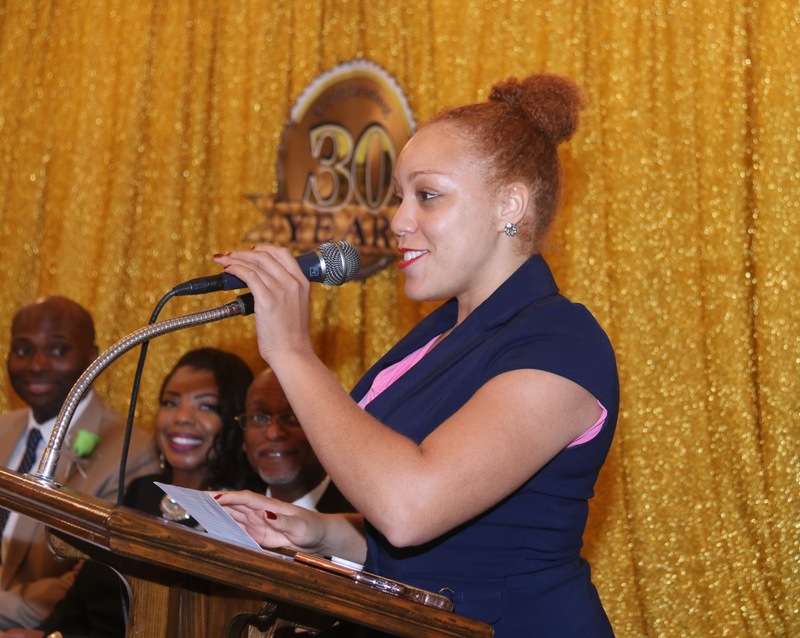 Alexandria graduated from KIPP Generations Collegiate High School where she ranked 23 out of 140 students and earned a 3.69 GPA. She plans to attend the University of Texas at Arlington and major in Exercise Science and Biology. 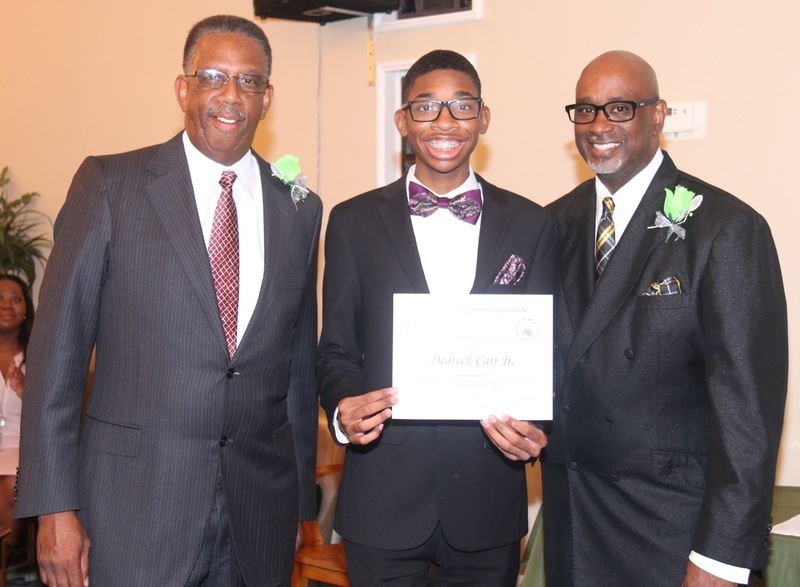 Dedreck Carr, Jr. is a member of Greater Hope Missionary Baptist Church in Houston where Rev. 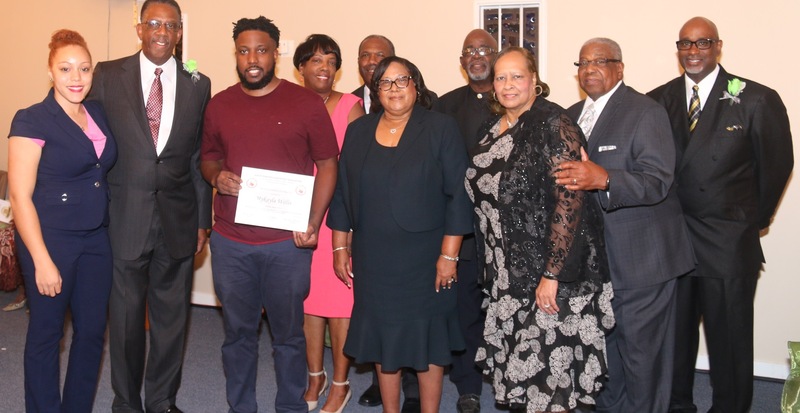 Mose A. Jones is his pastor and he is a member of the Youth and Adult Choirs, the Youth Ministry and serves as a Junior Usher and a Junior Deacon. Dedreck graduated from High School for Performing and Visual Arts where he ranked 131 out of 191 students and earned a 3.28 GPA. 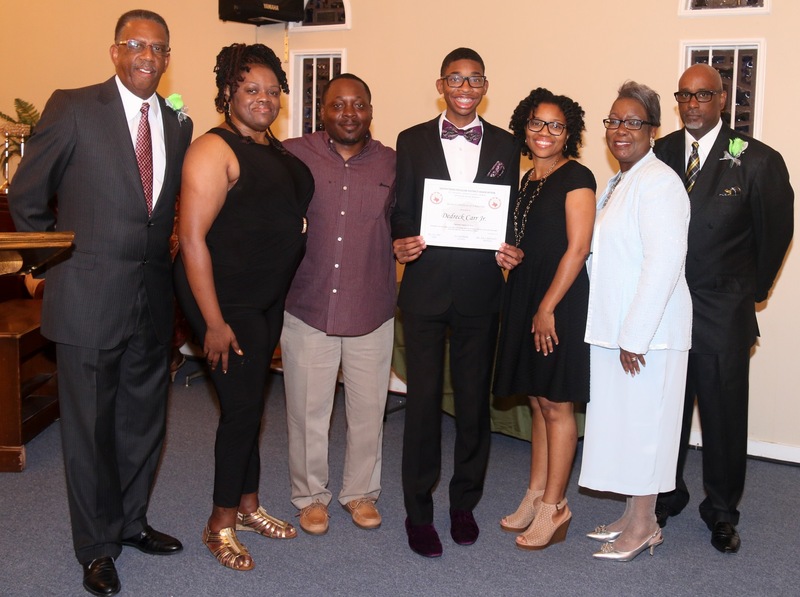 He plans to attend Belmont University where he will major in Worship Leadership. 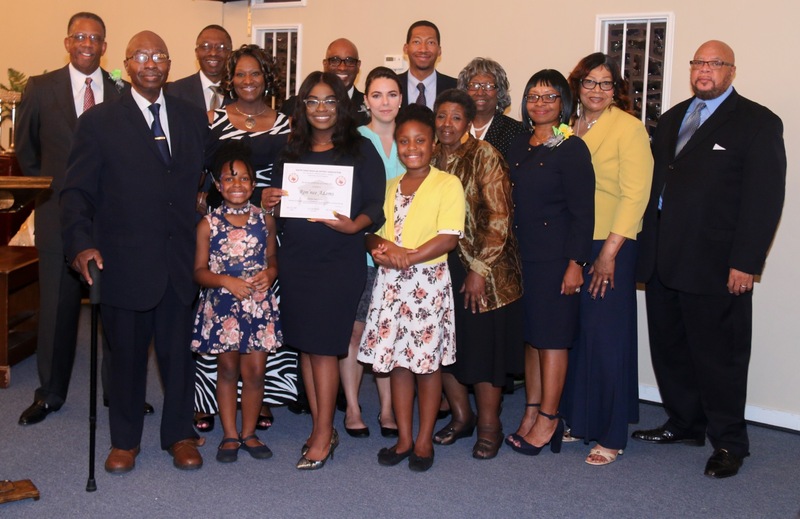 Maya Dearmon is a member of First Missionary Baptist Church in Texas City where Rev. A.L. 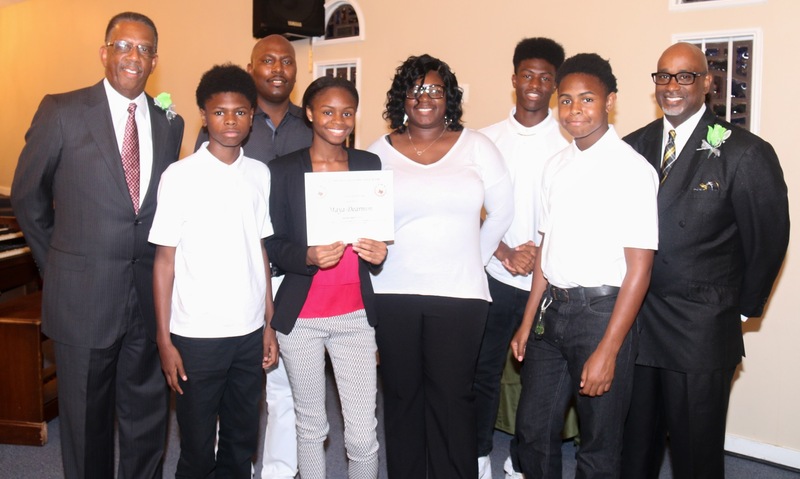 Bell is her pastor and she is a member of the Youth Choir, Praise Dance Ministry and a Junior Usher. 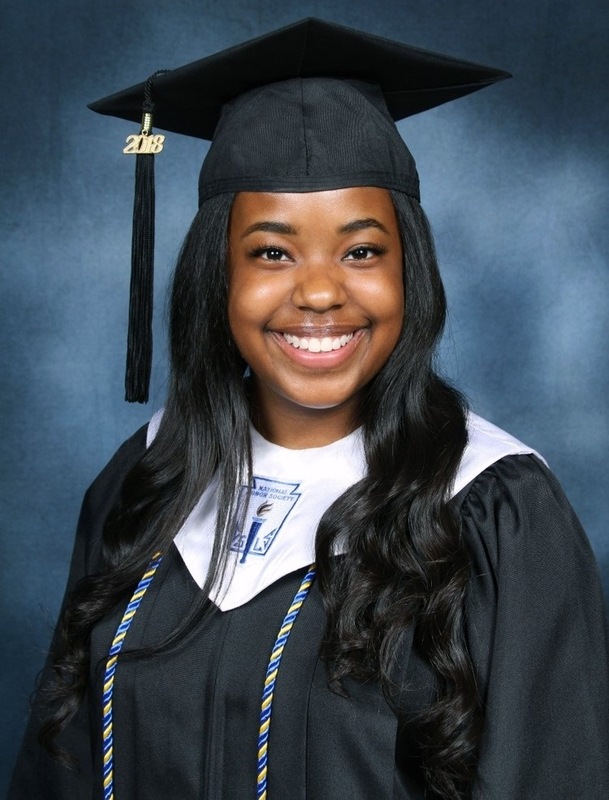 Maya graduated from Texas City High School where she ranked 119 out of 462 students and earned a 3.7 GPA. She plans to attend San Jacinto College to earn an associate’s degree before transferring to a university to pursue a degree in Engineering. 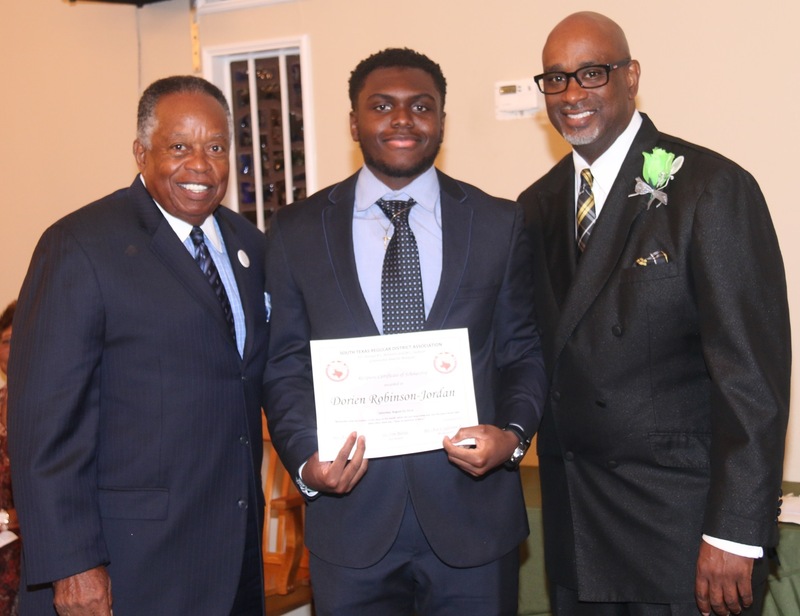 Whitnye Edwards is a member of South Union Missionary Baptist Church in Houston where Rev. 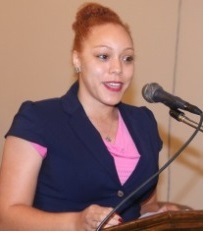 Michael V. Smith is her pastor and she is a member of the Media Ministry and Youth Choir. 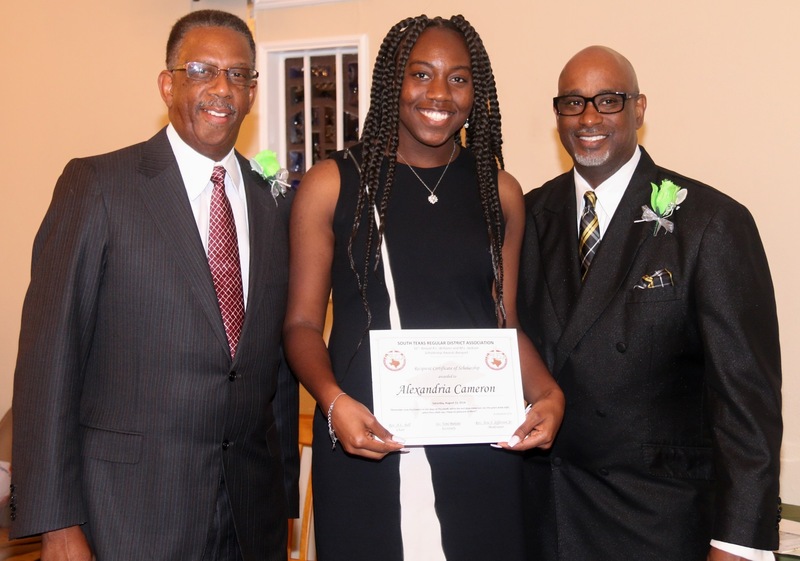 Whitnye graduated from Stafford High School where she ranked 93 out of 240 students and earned a 2.64 GPA. She plans to attend Lamar University and major in Broadcast Communication and minor in Math. 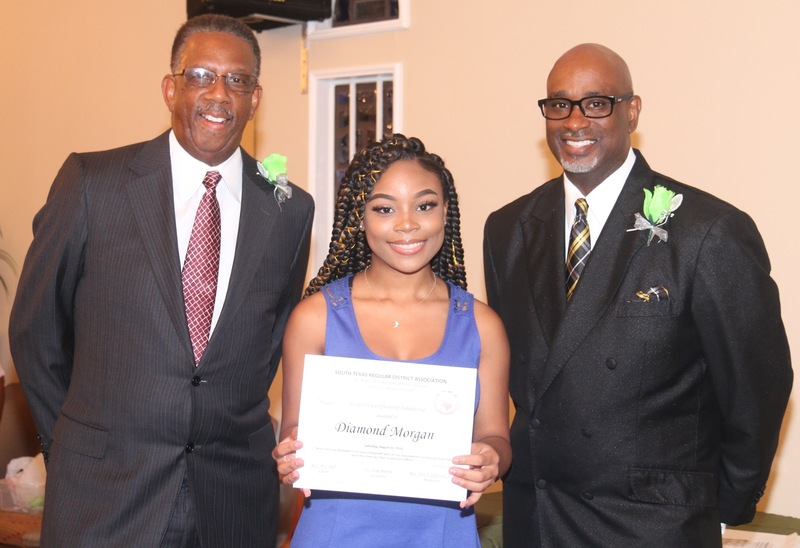 C’Erra Higgins is a member of Macedonia Missionary Baptist Church in Brazoria where Rev. Louis Dixon, Sr. is her pastor and she is a Youth Usher, Youth Ministry Treasurer, Vacation Bible School Teacher and serves as the Youth Announcement Clerk. C’Erra graduated from Sweeny High School where she ranked 19 out of 156 students and earned a 3.55 GPA. She plans to attend Texas State University and major in Biology. 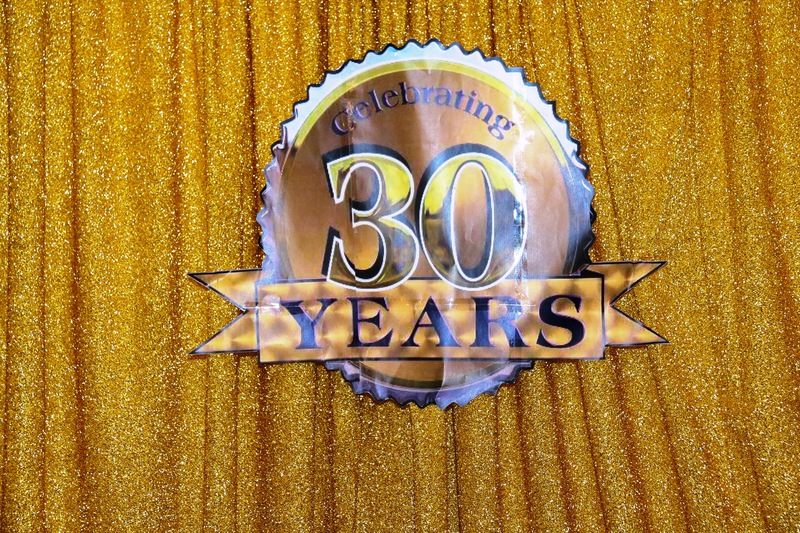 Diamond Morgan is a member of True Light Missionary Baptist Church in Houston where Rev. Craig S. Taylor is her pastor and she is a member of the Praise Dance Ministry and the Youth Choir. 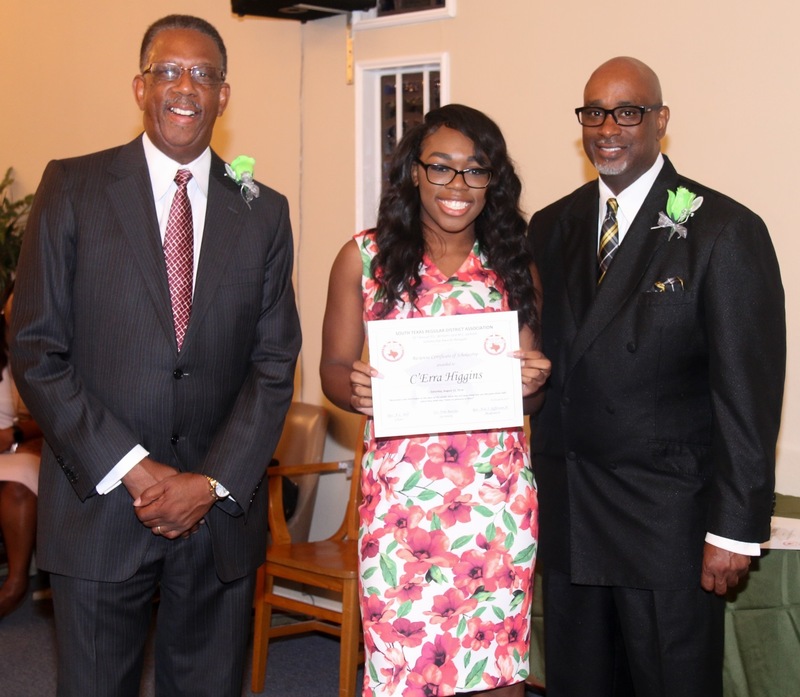 Diamond graduated from Klein Forest High School where she ranked 480 out of 922 students and earned a 3.27 GPA. 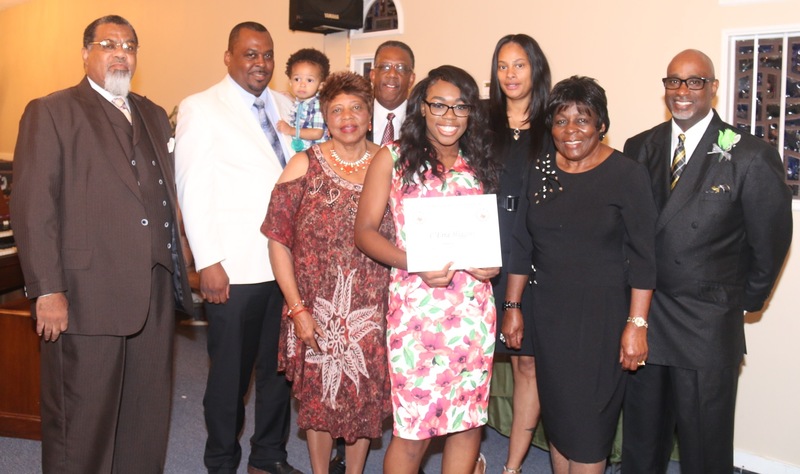 She plans to attend Prairie View A&M University and major in Nursing. Mary Powell is a member of Greater Mt. Olive Missionary Baptist Church in Houston where Rev. 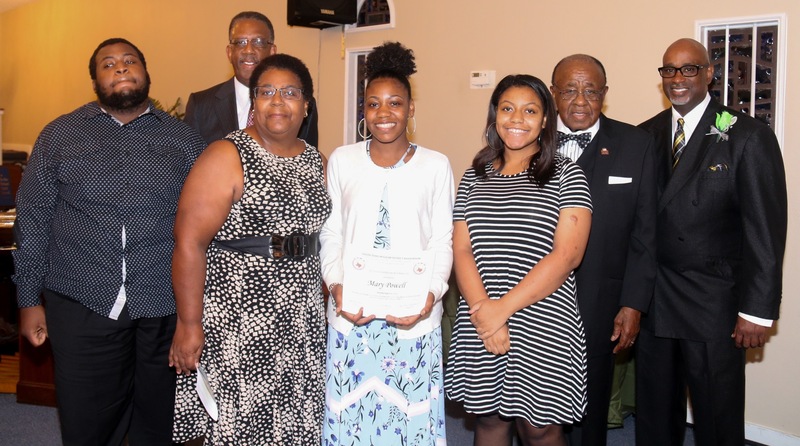 Byrd Lacey, Jr. is her pastor and she is a Youth Usher, Vacation Bible School Volunteer and participates in the Women’s Workshop. 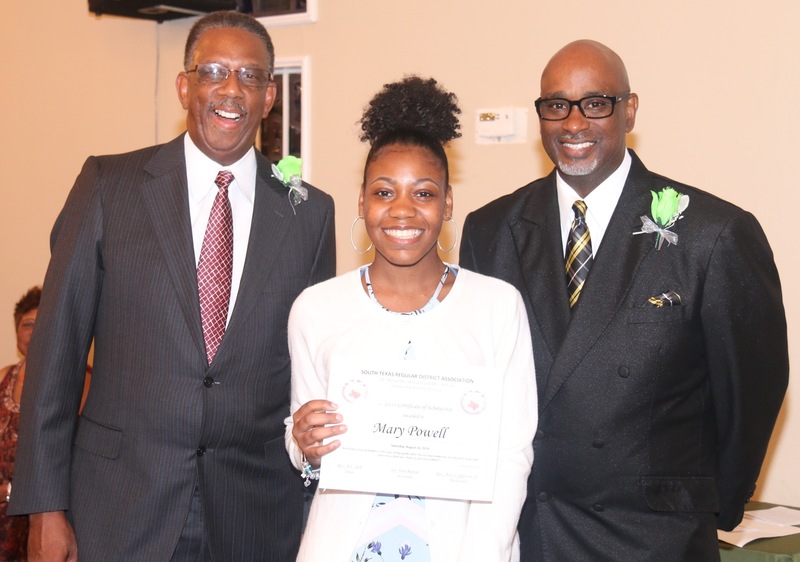 Mary graduated from Barbara Jordan High School for Careers where she ranked 18 out of 142 students and earned a 3.8 GPA. She plans to attend Prairie View A&M University and major in Nursing. Dorien Robinson-Jordan is a member of Greater New Hope Missionary Baptist Church in Houston where Rev. Donald R. Dickson is his pastor and he is a member of the Youth Choir, the Young Men for Christ Ministry and serves the Music Ministry as the drummer. Dorien graduated from Waltrip High School where he ranked 215 out of 365 students and earned a 2.5 GPA. He plans to attend Blinn College where he will major in Business Management and minor in Music. 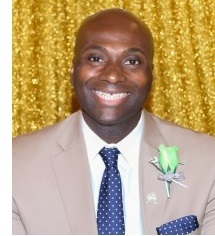 Dr. Ledric Sherman received his PhD from Texas A&M University in August of 2013. Prior to coming to Texas A&M, he received both his Bachelor of Science and Master of Arts degrees from Sam Houston State University. Dr. Sherman begin his career at Texas A&M as an Instructional Assistant Professor in the Physical Education Activity Program (PEAP) and remained in this position until completing his doctoral program in Health Education. Upon completing his doctoral degree, he was hired as a Clinical Assistant Professor in the Department of Health and Kinesiology, Division of Health. After being in this position for two years, he was then promoted to an Assistant Professor position within the department.